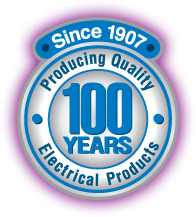 Schauer Battery Charger Manufacturers – Schauer is a trademark of the Brookwood Group, Inc.
Manufacturers of battery chargers for over 100 years. Our battery chargers are found the world over from near the north pole to Tajikistan. From chargers for: electric powered wheelchairs to electric powered buses; starting/lighting batteries in cars to trucks; standby power in telemetry units to pipelines. Battery chargers for lead acid batteries of all types, used on any type of equipment, anywhere.